Videos taken by aircrew, edited and posted on YouTube are not uncommon. With easy to use, high quality and wide angle cameras like those from GoPro easily available off the shelf, it isn’t too difficult for someone to shoot a video. But what makes some videos popular, separating these from the rest? Is it more than just a camera? And how does it impact an airline’s image? Let’s find out, in this interview with Rodrigo David, a responsible airline captain with Avianca, Brazil, whose popular channel on YouTube, known for “SAIL”, and its new best, “Higher”, also serves to market the airline, effortlessly, and in a very off-beat way. The videos reflect the passion in you. Tell us something about your passion for flying. 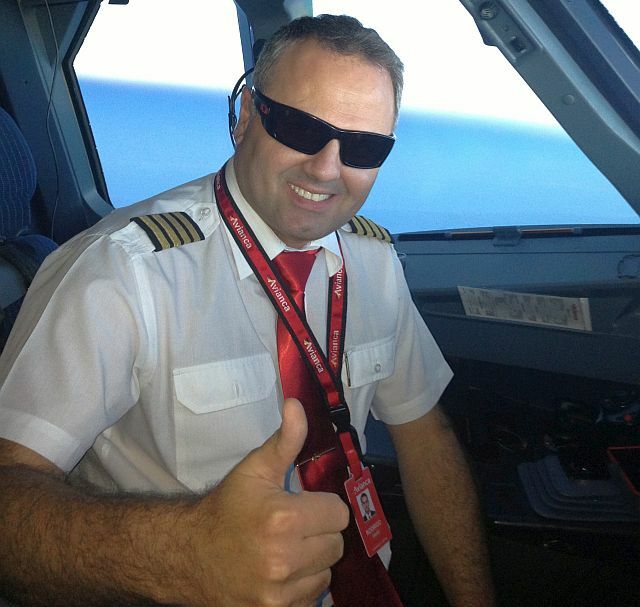 Rodrigo: Many people ask me, “When did you decide to become a pilot?”. My usual answer is, “Since I was a kid”. But few days ago, I happened to come across a topic on Facebook, about an old Japanese TV series called Ultraseven. That’s when I realised that the “ships” in the series left an impression on me when I was just 4 years old. Sounds a bit silly, but I feel glad to have this memory that helps me understand the beginning of my passion for flying! When I turned 17, I went to flight school and flying hasn’t stopped, since. I’m now flying for 23 years and I’ve got around 11000 hours (total) in the sky, 2000 hours flying Airbus. For me, the best part of flying is the landing, I simply love it! Also I like the short hop flights in shuttle between São Paulo and Rio de Janeiro because it takes 40 minutes and is a challenging flight due to short runways, and terrain. I’m happy to have the opportunity to operate at these unique airports. Rodrigo: I use only one GoPro Hero3 and sometimes a Sony HX-9V Cybershot. Anyone can fix a GoPro and shoot videos; yet your videos stand out! What makes your videos so unique? Rodrigo: I believe that the popularity of my videos is because I allow my love for the flight/flying to manifest in the videos through different angles and alternative, well matched songs. I’m meticulous about production quality, and I always attempt to harmonize the clips with the music. Editor’s note: Many who “make” videos are wanting in the following areas: clip editing, seamless transitions between clips, and most importantly, matching the music (it’s beats, highs, and lows) with the clips. Rodrigo’s videos transition between clips, matching transitions in the music. Rodrigo doesn’t allow a clip to “drag on”. If you’ll notice, his popular videos feature clips that are neither too long nor too short, and well synced with the music. Skills don’t develop overnight. Since how long have you been working with videos? Rodrigo: I have been editing flight videos since 1993, when I was a flight instructor at an aviation school. At that time I used to plug two VCRs, and a stereo for editing. That was pretty archaic! Your best video, in your opinion? Rodrigo: About the videos my favourite is SAIL! It was very well received, and got more than 2 million views! Unfortunately, I decided to delete the video from the channel because it shows the Ipad, and we still don’t have the approval of the National Aviation Agency for use of the tablet, for flight operations. Editor’s note: SAIL has been re-uploaded by another user, viewable by Clicking HERE. Do you shoot cockpit videos very often? Rodrigo: Yes, but only on flights that I’m not instructing. Your videos feature some of your colleagues in the deck. How eager are they in featuring in your videos? Rodrigo: Before mounting the camera in the cockpit I ask the first officer (and others) if they mind being recorded on camera, and then seek their permission to use those clips which feature them. They like it very much! Considering the views your videos get, don’t you think the company (airline) must encourage such activities, as it helps marketing the airline? Rodrigo: The company neither encourages nor restricts the use, as long as it’s done safely, without interfering in operations. Years ago, I read an article about the videos being well received by the company’s marketing department, and I was happy to hear that! Your angles are great! Could you please share photos of the various locations in the cockpit, where you mount your camera? Wonderful post Vasuki! I’ve been hooked on to his channel since the sail video, thrilled to read more about him here. Thanks! Even in words, the enthousiasm of this pilot shines through everything. Very nice interview!